Quite often it was the rhythm of the poem I picked that dictated it and I didn’t want to write a poem in metre or rhyme today – some days you want something looser. I also found a lot of the first lines I looked at took me down the nature pathway, and I didn’t want that either. So here we are, on the Isle of Lewis! I go through rhyme phases then feel like a change. I had another go at a sonnet today. Once I tackle something new, I like to tease out the knots until I see how it works. Me too. I like to keep going back to review things – I’m always tweaking. Hard to say when a poem is done! The ideas can always be recycled in different forms too. I love the tall standing stone shape of it! That happened right at the end – it wanted to stretch out! I love when things like that happen – I really struggled to get going with the prompt and then suddenly the poem took over and did its stuff. 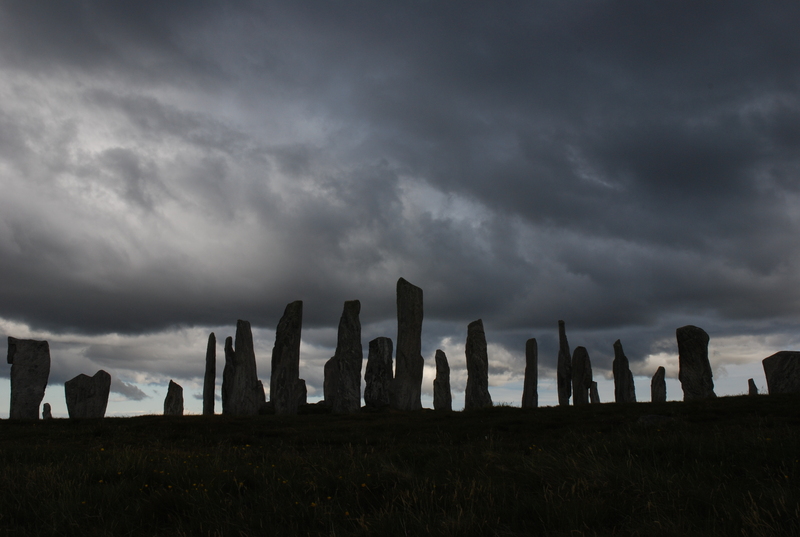 Now watching a programme about standing stones on BBC 4 – spooky coincidence!